Ok, this is getting more than just a bit old. I know that cruising is supposed to be the art of fixing your boat in exotic locations, but we seem to be spending all of our time fixing, and haven't even made it to a really exotic location yet. Sorry...had to get that off my chest...let me back up a bit. 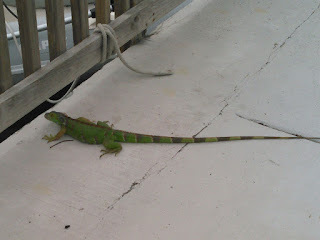 A couple days ago we departed Elliott Key heading for Key Largo. The day started well enough. 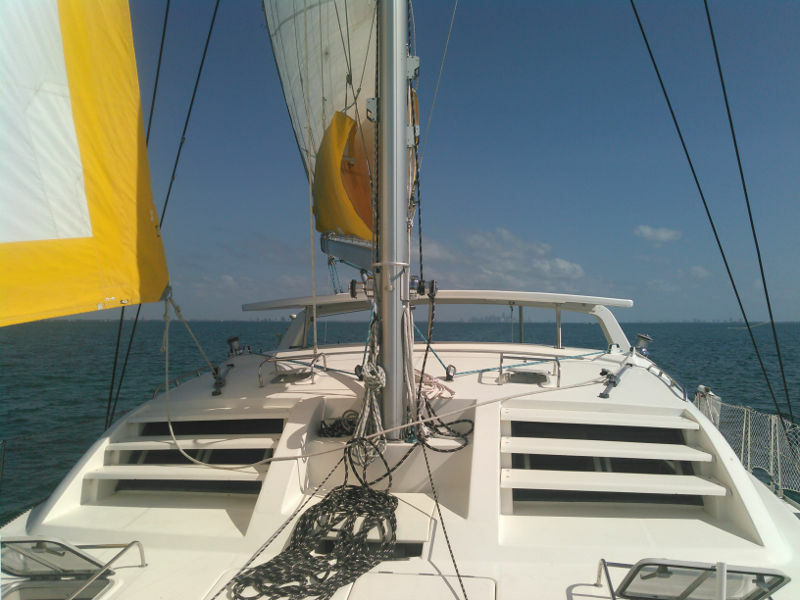 We fired up the engines (recommended for windlass operation), pulled up the anchor, set the sails, shut the engines down, and were sailing along in Biscayne Bay. After a nice stop at Elliott, things were finally starting to feel like they should. 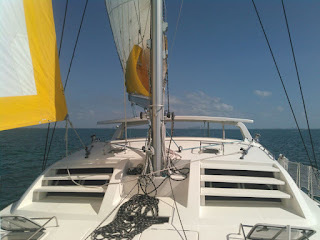 Since we had been under sail most of the trip and we don't yet have solar, I decided it would be a good idea to fire up the generator and top off the batteries. Don't want the beer getting warm, right? I fire it up and there is no cooling water coming out of the exhaust. Argh. I shut it back down and go grab a wrench to check the impeller since that is the usual cause of such issues. I find it looks just fine. Hmm....this seems familiar. I grab a couple more wrenches and pull the pump. Once again the drive gear has come loose. Unfortunately this time I discover the seals on the pump are also starting to fail. So it looks like we will either need a new pump or to rebuild this one. In either case, no generator until this is resolved. Despite being able to sail, we fire up an engine so we can use it to charge the batteries. We motor sail the rest of the way to Tarpon Basin on the east side of Key Largo and drop the hook. We chose this location since Active Captain said it had a dinghy dock behind the county building and was close to grocery and other supplies. It is also well protected and there are storms predicted in the near future. Best to be somewhere protected while we work out this issue. Once we arrived, we started the hunt for parts for our ailing generator. We search for parts and repair facilities in the area and don't find much online. In desperation, we call the local West Marine. They can special order the parts, but it will take 3 weeks or more before they can get them in. At the end of the day, our only option seems to be a long wait for a part. Needless to say we were more than a tad frustrated. 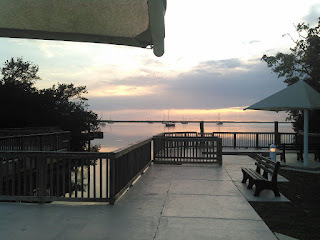 How can we be in the Florida Keys, a boating mecca, and can't find a pretty simple and common part? 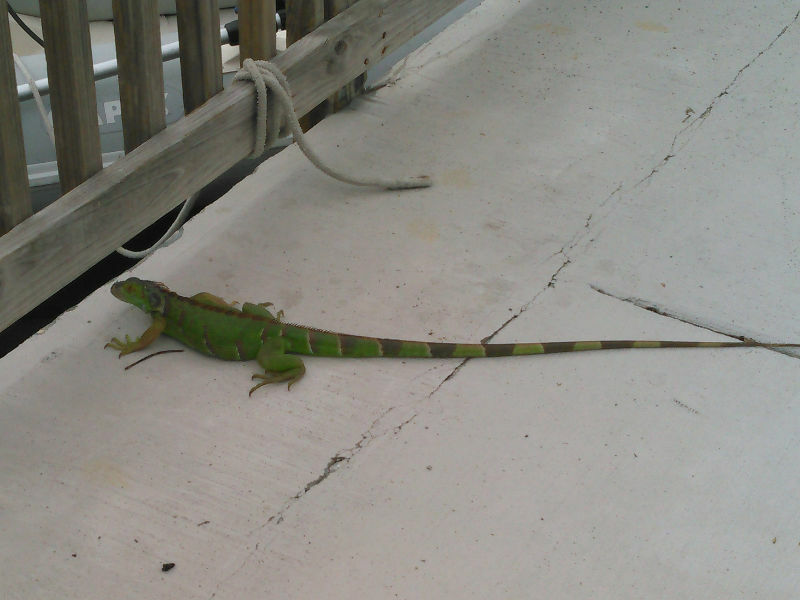 One of the "guard dogs" at the dinghy dock. The next morning we take the dinghy to shore, armed with smartphones and a tablet, determined to find a better solution. Sadly, the marine industry seems severely lacking in online presence. As some of the local boaters came by, we would ask them if they knew of any marine diesel repair shops around. We finally found a guy that pointed us toward a couple of places nearby. We hopped on our bikes (we brought them to shore in the dinghy), and with the failed pump in our backpack, went to the shops. The first shop we stopped at told us they didn't have what we were looking for, but there was a small marine diesel guy down the street that might be able to help. We head over to this shop in our quest for generator power. Ironically, this shop is almost exactly across the street from the county building with the dinghy access. No real signage other than a couple small diesel manufacturer logos on the windows (once you were close enough to see them). We go in and tell him tales of our woes, show him the pump, and ask if he could help. He said he could probably rebuild the pump, but it might be cheaper to buy a new one (their labor rate is $125/hour). He checked and could have a new pump shipped for arrival today (Saturday) for about the same price as rebuilding the one we have. Not a cheap option, but next day service for what West Marine was going to take 3 weeks to accomplish. So, we wait for the pump as I type this. With all the work we have done on the boat I would have thought we would have some credit built up...but I guess not. At least the county building has WiFi so I can finally update the blog. I can even go back and add pictures to the posts I had queued up and ready to go.